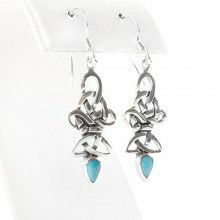 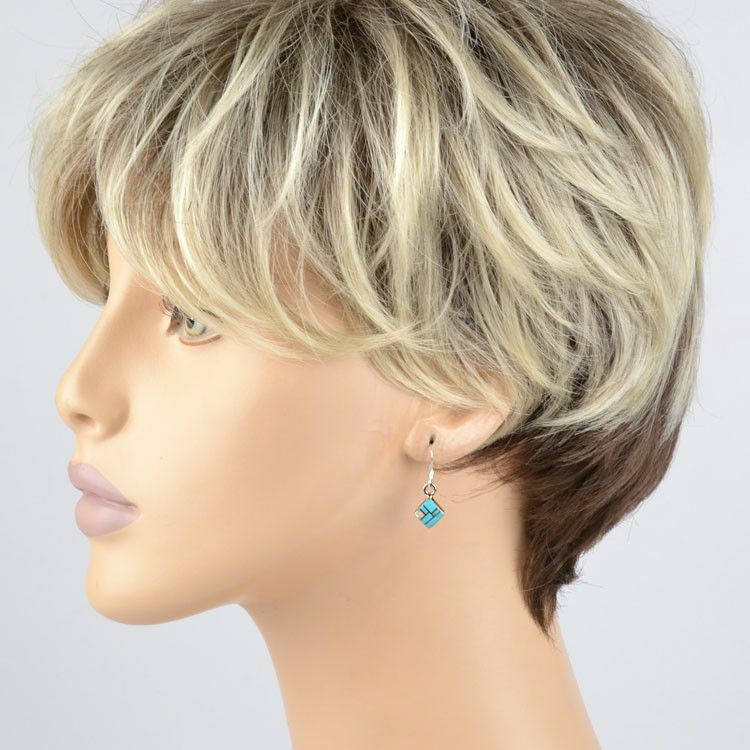 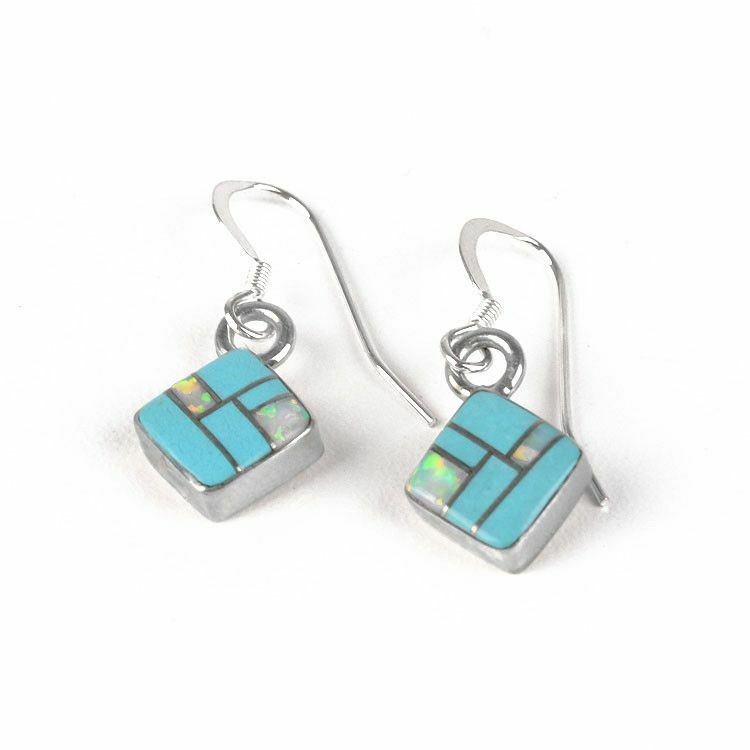 These dainty earrings feature turquoise and opal, inlaid into sterling silver. 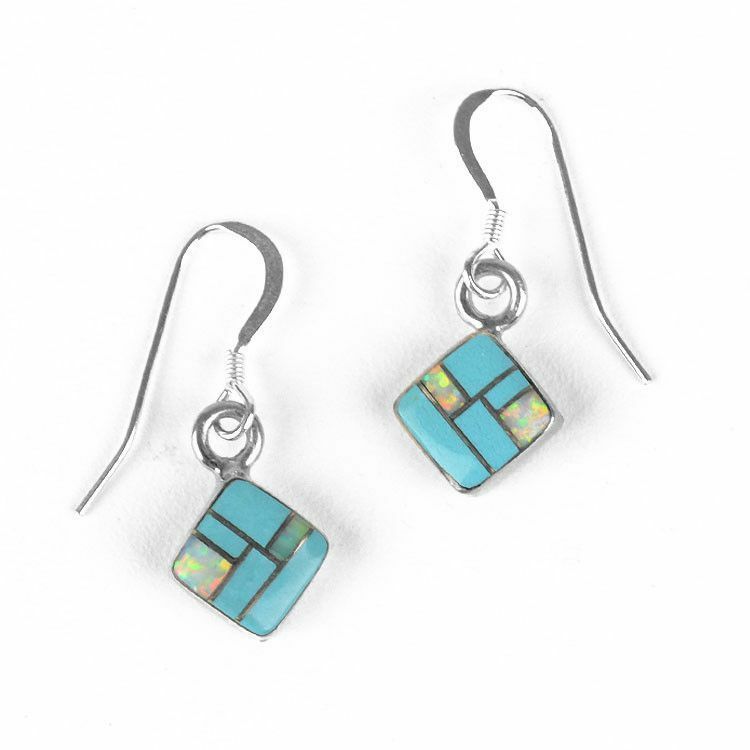 The tiny squares (about 1/4" x 1/4") dangle from simple hooks. 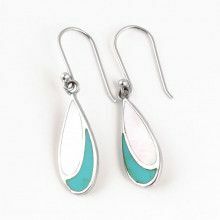 Total length of earrings is about 1" long. 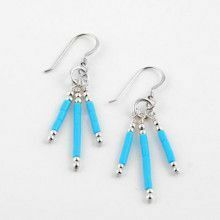 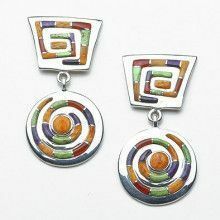 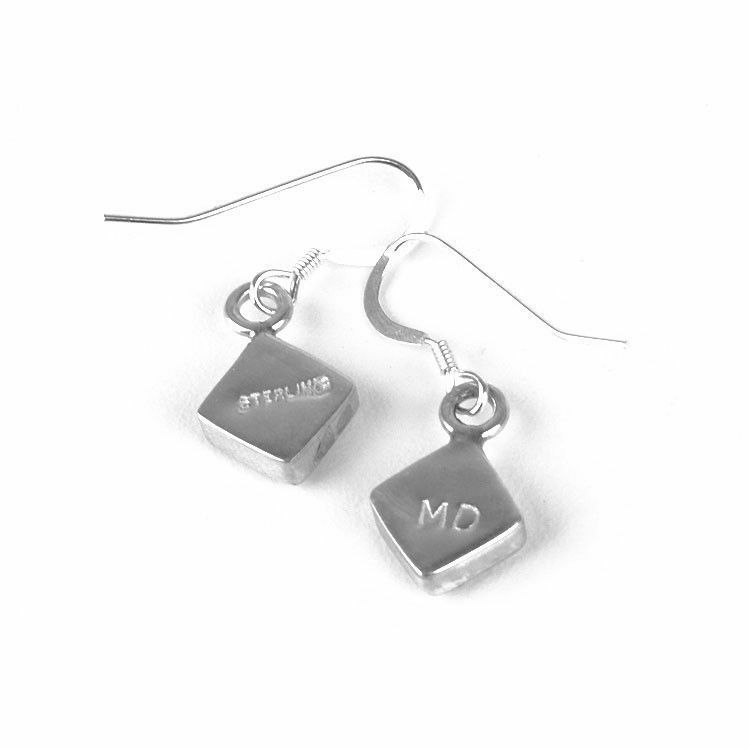 Great earrings for everyday wear! 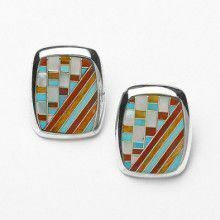 Squares are about 1/4" x 1/4"